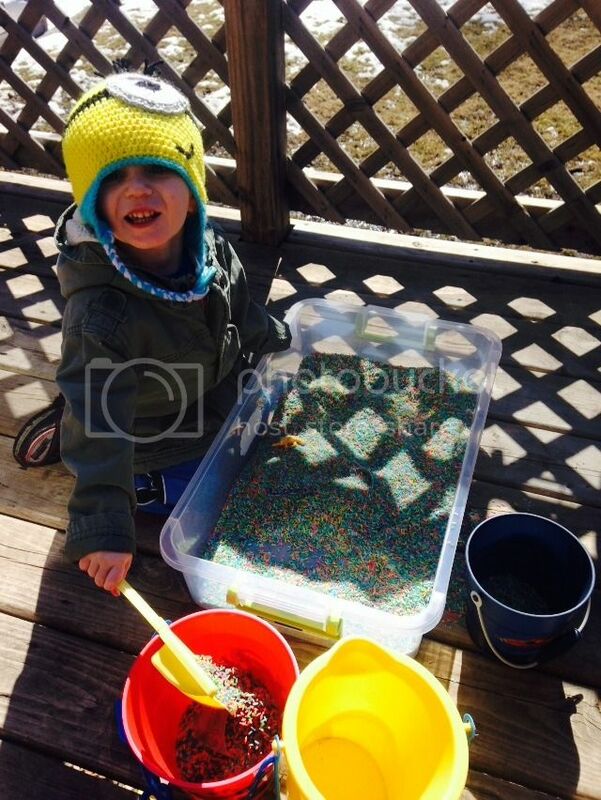 I love sensory play! There are so many different ideas on Pinterest. 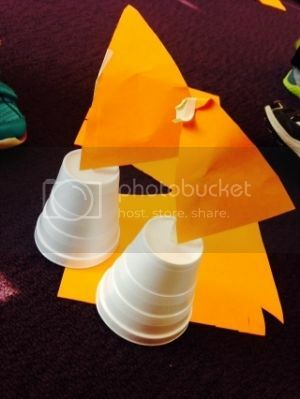 There is no right or wrong way creating a sensory activity. The best part is, you usually have everything in your home OR it’s super cheap to pick up the few items you may need. 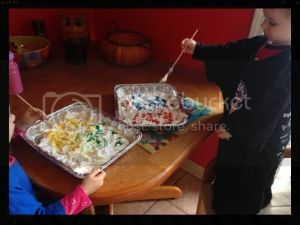 One of our favorite sensory activities is playing with colored rice. Noodles are great to dye also. You can use them for sorting, making necklaces, throw in a large bin, and more. It is SUPER easy to dye everything at once. You could also dye oats and sand, but I chose to just stick to rice and noodles today. 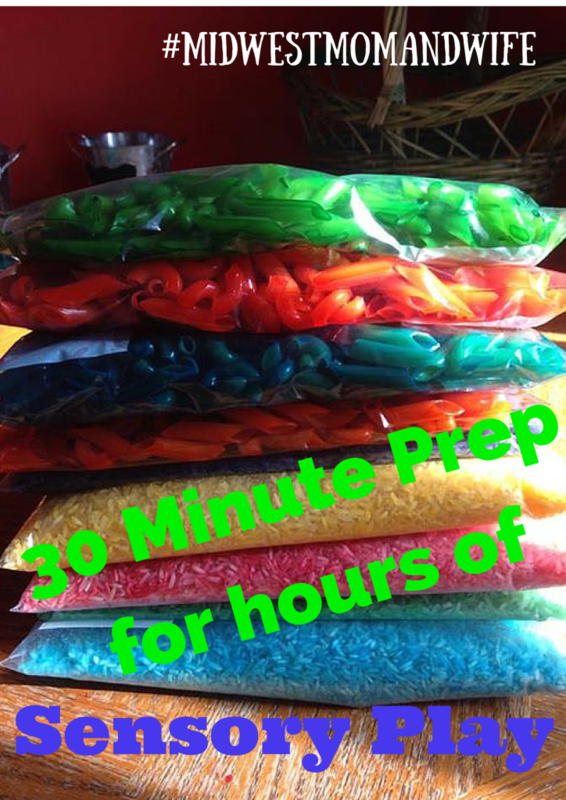 This entire process was about 30 minutes long and it could even take less time, if you have kiddos to help! 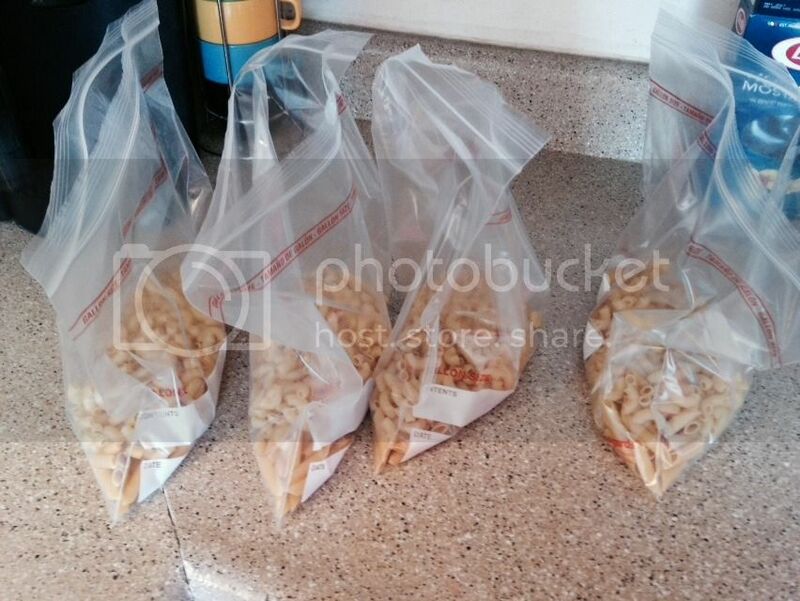 Place your noodles and rice into gallon bags. Just eyeball a good amount. I put about 3 cups of rice into each bag and about 2 cups of noodles in each bag. Place about 2-3 Tablespoons of alcohol into the bags. Squirt 2-3 drops of food coloring. You may want to add more in a bit. Seal the bags. Make sure they are sealed well or it will be a mess! Begin shaking! This is where the kids can help. If the colors are not bright enough for you, add more food coloring. 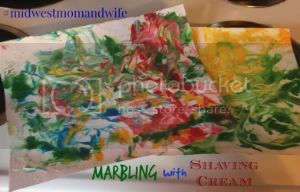 You can now open the bags and let them dry out, or spread onto parchment paper. I keep them sealed overnight, then let them dry out the next morning. This allows the color to sit a bit longer. 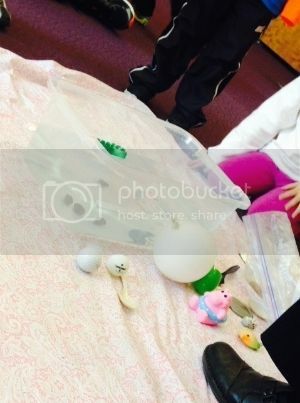 Check out my other fun sensory activities and ideas! I recently just discovered what all PBS Kids has to offer! There are so many resources, besides the regular programming. 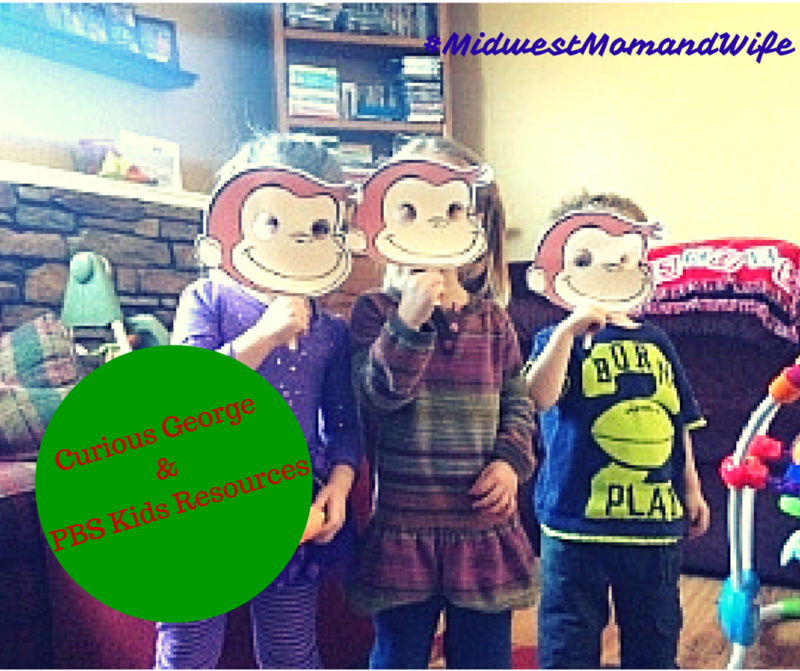 I was able to create a Curious George themed day for the kiddos, using all of these resources! PBS Kids – Lots of videos, games and apps! 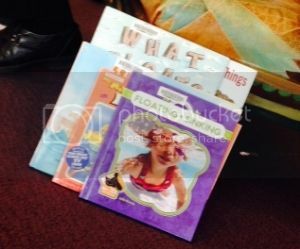 PBS Learning Media – My favorite! Free! You can sort by grade and subject. This will filter all videos, activities and more to help your child learn. We started off reading, one of the several Curious George books we have, Curious George Learns the Alphabet. 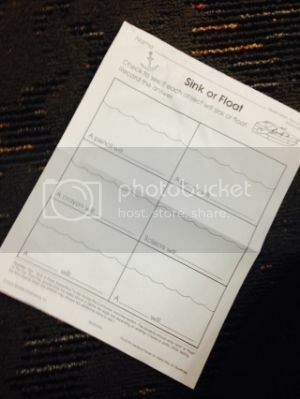 Pinterest, of course, also has some great print-outs and resources. I found some matching number cards, I printed and laminated. I also printed off some coloring pages for the kids to learn colors and shapes. You can find them here. We also learned our shapes and colors by playing with some bean bags I already had. 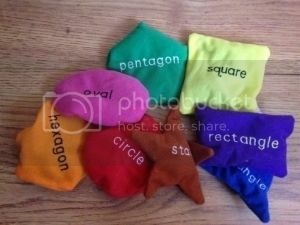 Monte and the other kids love to toss them and it is another great way to learn shapes and colors! You can purchase them here! 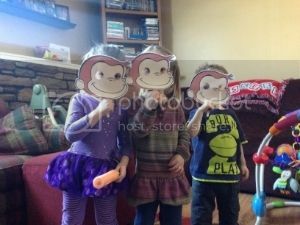 After all of our activities we watched an episode of Curious George, ate some bananas and peanut butter and the best part … they played with their Curious George masks! We chose to have a Curious George day because we went and visited Curious George at IPTV on Monday. The kids had a blast! They were able to meet Curious George, had snacks, did a craft, and they were given a tour of IPTV from Dan Wardell. My favorite thing about PBS Kids is the fact they use characters like super heros, monkeys, and trains, that entice the kiddos to learn. Every show and every episode the kids learn something. It may be words, letters, manners, or numbers. I highly recommend adding PBS Kids to your daily routine and not just the programming! Hop on to any of the sites listed above and pick out an activity to extend your kids learning. 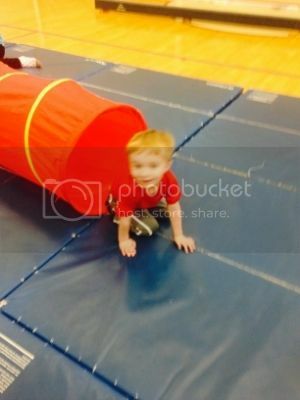 We checked out another indoor play area last week! The West Des Moines Community Center located in Valley Junction. Another place that was recommended by Des Moines Beyond 4 Walls! 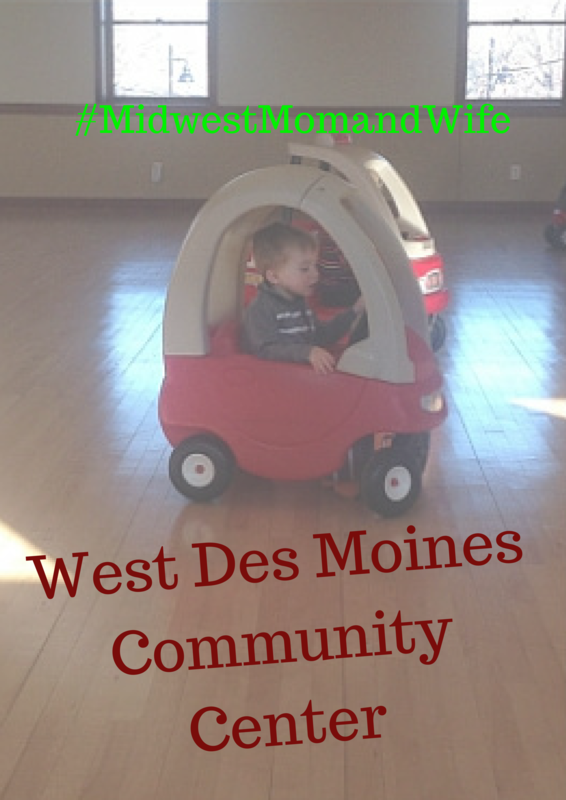 The WDM Community Center has been around for awhile, but we just decided to visit because they changed their hours! They are a little bit more convenient for those with little kiddos. The kids had fun, but I was not overly impressed with what they had to offer. 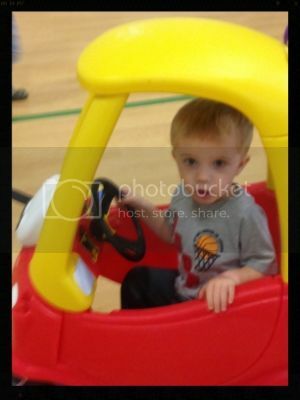 They had several toy cars, four-wheelers, little motorcycles, a plastic stroller with baby, and tumbling mats. 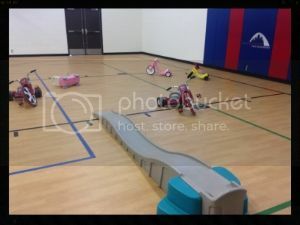 The room was very large, so the kids enjoyed running around and riding back and forth. I felt that they could place more things out to play with such as plastic slides, toy houses, etc. I was expecting more, something a little more similar to Waukee Tot Lot. I cannot believe that 2014 is coming to an end! 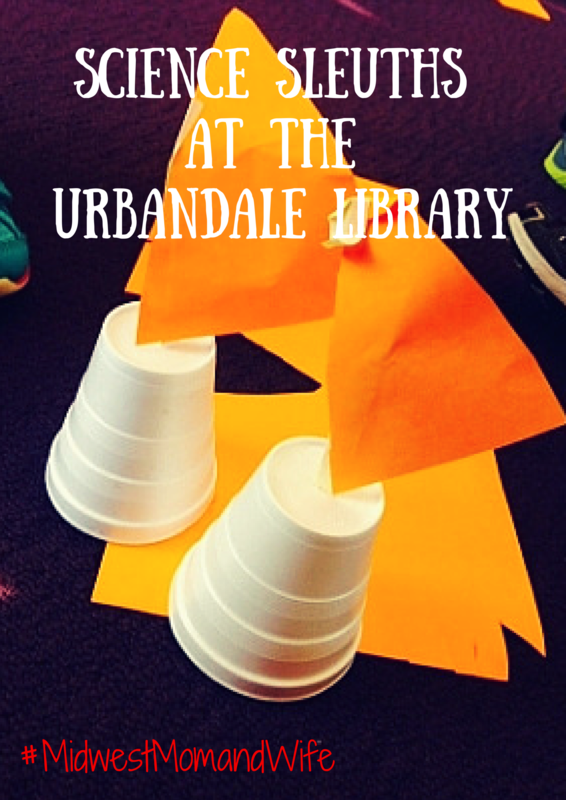 Here are some awesome ideas that you can do locally with your kiddos! Info: $10 pre-registered and $12 at the door. 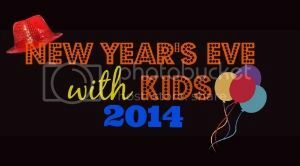 Come bounce with friends and celebrate the New Year with a balloon drop at noon! Each child will receive New Year’s favors. To register or find out more information click here! Info: This event is FREE! There will be inflatables, obstacle courses, slides, face painters, carnival games & prizes, live entertainment, super heroes & princesses, and a special toddler zone. 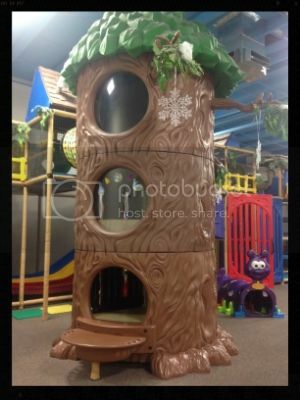 For children 1o years and older there will be a tween zone and laser tag. The evening will end with a confetti drop at 8 pm and fireworks at 8:15 pm. Check out here for more information! Info: Come out and celebrate the New Year with snow tubing, skiing, and/or snowboarding! Admission includes a hot dog or pizza, soft drink, and party favors. Check out here for more information and prices. Info: Ramada Tropics is hosting a very special New Year’s celebration. They have an indoor water park, slide, and tiki bar. There is something for everyone! Check out the flyer for packaging prices and more information of what is included. You better book soon! Info: Check out the last evening of Jolly Holiday Lights. Load the kids up, get some hot cocoa, and enjoy the festive lights before the end of the year! When: Whatever times you choose! 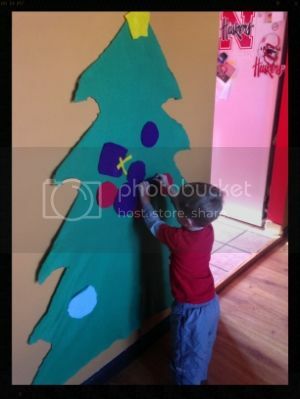 This past weekend one of my good friends came to town with her kids and we did some FUN Holiday Pinterest crafts! Every year we get together before Christmas to have a gift exchange and do fun crafts. 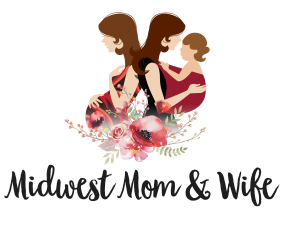 Here are a few things we did, that I highly recommend checking out! I came across this idea, last year, but never got around to doing it, because I was so nauseous with baby Amelia 🙁 But I finally got it done and Monte loves it! 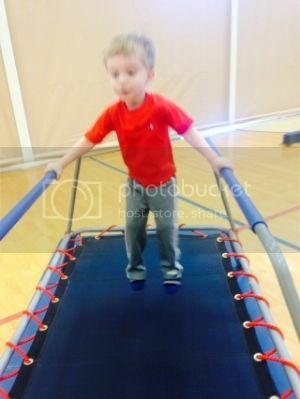 The daycare kiddos also enjoy it so it’s a win-win! 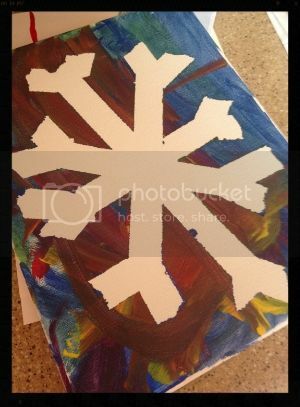 You end up with a pretty snowflake! An awesome decoration for the home that can be used all winter long! I absolutely loved this project and it turned out great. 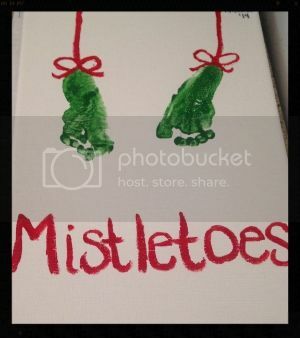 It is very easy to do with a baby and even easier if you have a helper to help place the painted feet on the canvas. 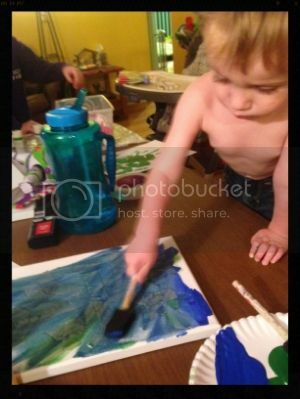 We made one on a canvas for a decoration and made more prints on card stock for the Grandparents. 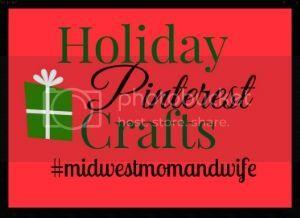 What holiday crafts are you doing this season? 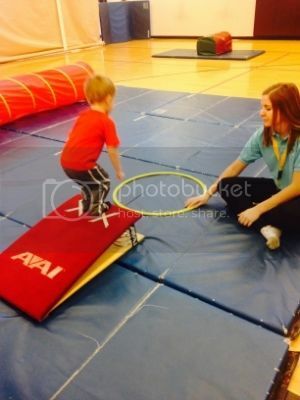 We checked out another FUN indoor activity … The Playground for Kids! Another great place recommended by Des Moines Beyond 4 Walls! Playground for Kids is such an awesome place, located in Ankeny. It is full of so many activities. We went on a Monday and for the first hour we were there, we were the only ones playing! You know when you go to carnivals and other kid events, they have the bouncy houses and inflatable slides? AND your children have to wait in line for their turn to go?! Well, we had none of that! Monte was so excited to go up and down the slides, over and over again. No one telling him to WAIT! There was also a large tree house you could climb up and there were tunnels up above, that you could crawl around and slide down the many, many slides available to get down. There was also a fun bouncy house that had a large “hoop” that you could throw balls into! Admission into The Playground for Kids is $8.50 for 2-12 year old. 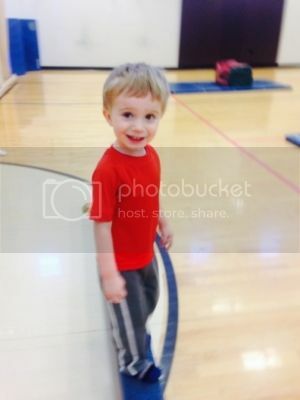 Walker up to 23 months are $5.50. They also offer a $50 punch card for 10 plays, which saves you $3.50 each time you visit. I highly recommend purchasing this now, because this is a place where you will WANT to take your children to burn some energy this winter. They also offer a3 month membership for $99, which allows discounts on concession treats, birthday parties, and unlimited visits! 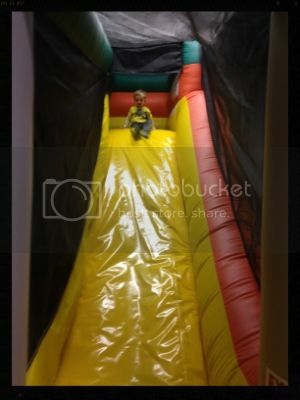 I mentioned birthday parties … check out the awesome packages they offer! 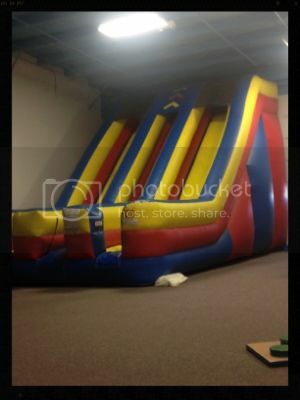 They also offer rentals of their inflatables if you decide to have your own party, at your house! I definitely recommend visiting! You could even ask for a punch card OR membership for the holidays! Winter has hit and settled in the Midwest! Sadly, no more parks for awhile, so we are checking out some great indoor places to run and burn off some energy. 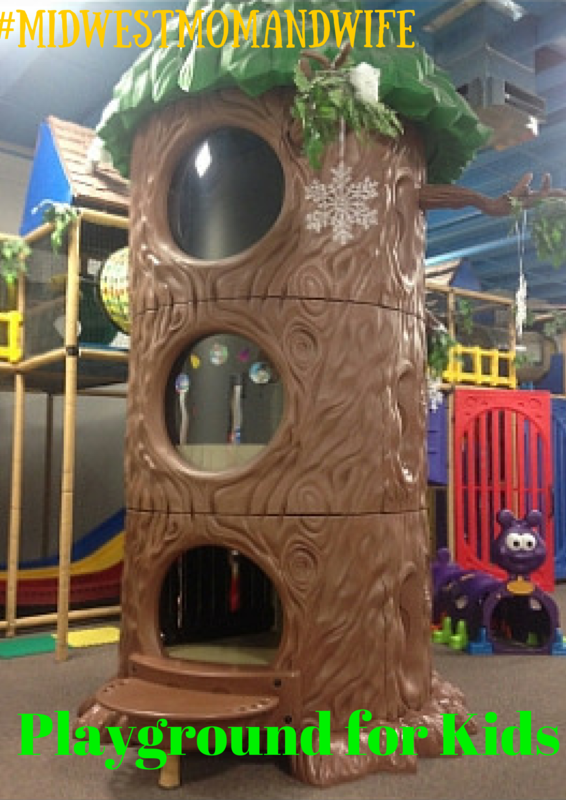 We checked out another great place last week … Imagination Playschool. 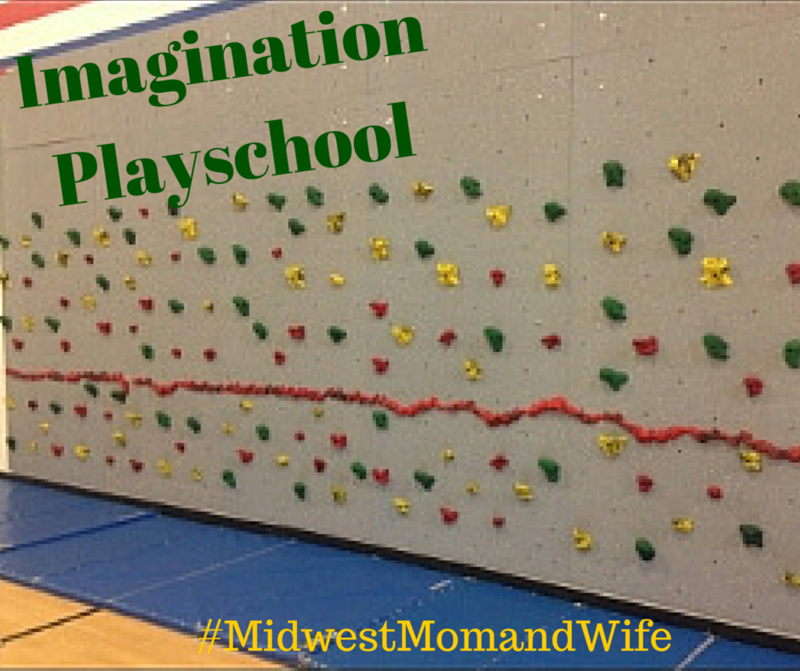 Imagination Playschool is located at the Pioneer Columbus Center is Des Moines. This was another place I learned about from Des Moines Behind 4 Walls! 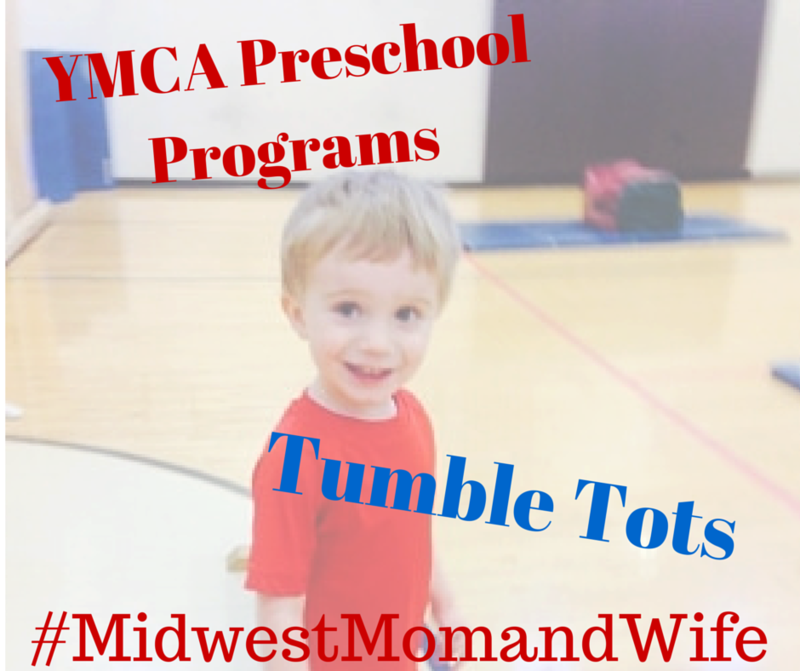 It’s a large gym that is full with fun activities to do including foam blocks, play houses, tumbling items, and even a walk climbing wall! Monte’s favorite were the cars and cars that went down a hill, kind of like a roller coaster! Starting in January it will be open certain days of the weeks, every week! It’s $2.50 per child to play. 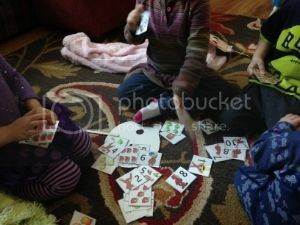 It’s well worth it, to keep the kiddos busy on a cold, wintery day! I highly recommend putting this on your list of places to check out! 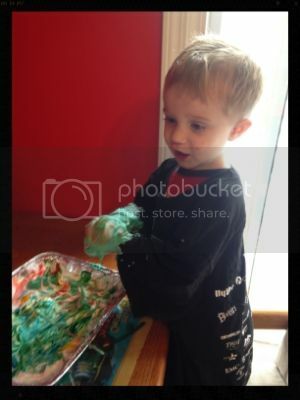 Have you ever been to Imagination Playschool?